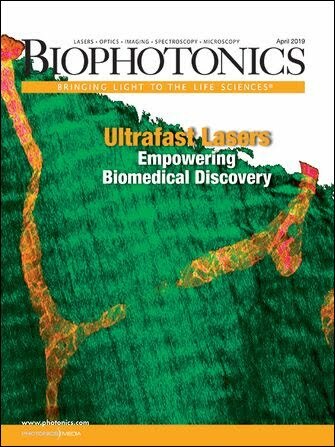 Research and development spending at many biophotonics-related companies failed to keep pace with revenue growth in their 2015 fiscal years, according to analysis of financial reports issued by 20 publicly traded companies and tracked by Photonics Media for this new quarterly column. Combined, the 20 companies, which had fiscal 2015 end dates ranging from June 27, 2015, to Jan. 3, 2016, saw their annual revenues increase over the year by 5 percent to $66 billion. But their cumulative R&D expenses rose by only 1.6 percent to $4.2 billion (Figure 1). Figure 1. In fiscal 2015, 20 publicly traded, biophotonics-related companies tracked by Photonics Media saw their revenues increase over the year by 5 percent to $66 billion. But their R&D expenses rose by only 1.6 percent to $4.2 billion. Consequently, the 20-company R&D percentage fell to 9 percent in fiscal 2015, compared to 9.6 percent in the previous fiscal year. The sluggish spending on new product development and existing product enhancements meant the 20-company average R&D expense as a percentage of revenues — referred to as the “R&D percentage” — fell to 9 percent in fiscal 2015, compared to 9.6 percent in the previous fiscal year. Thirteen companies — two-thirds of which had market capitalizations exceeding $2 billion — saw their R&D percentages decline in fiscal 2015, compared to nine in the previous fiscal year. Although 10 companies increased their R&D expenses in fiscal 2015, only seven of them did so to the extent that would result in a higher R&D percentage — a key ratio that indicates management’s pursuit of new products or new applications of current products (Table 1). Those companies, which predominately had market capitalizations below $2 billion, included GSI Group Inc., II-VI Inc., Lumentum Holdings Inc., Newport Corp., OSI Systems Inc., Coherent Inc. and PerkinElmer Inc. The R&D percentage is a metric that has value to executives, engineers and scientists. As Coherent noted in its latest annual report (Form 10-K) filed with the U.S. Securities and Exchange Commission (SEC), the photonics industry “is characterized by extensive research and development, rapid technological change, frequent new product introductions, changes in customer requirements and evolving industry standards.” And a failure to keep up with these changes by developing new products or enhancing existing ones “could have a material adverse effect” on a company’s business, operating results or financial condition, companies such as Newport commonly warn in their annual reports filed with the SEC. More R&D spending, however, does not always translate into more revenues. In fact, the biophotonics-related companies on average received less bang for their R&D buck in fiscal 2015. The 20-company average return on research capital (RORC) — calculated as the recent year’s annual gross profit divided by the previous year’s annual R&D expense — fell to $5.30 in fiscal 2015 from $6 in the preceding fiscal year. That means for every dollar the companies spent on R&D in fiscal 2014, they, on average, returned $5.30 in gross profit in fiscal 2015. Only nine companies in fiscal 2015 had a higher RORC. At $11.20, Thermo Fisher Scientific Inc. had the highest RORC in fiscal 2015, followed by Danaher Corp. at $9.30 and Becton Dickinson & Co. and PerkinElmer, both at $8.50. How companies spend on R&D can shed light on areas where management has identified growth opportunities. Given how most of the companies followed for The Pipeline have diversified portfolios, their R&D funds were not exclusively allocated to biophotonics-related projects. OSI Systems, for example, invested more heavily in R&D for new products for its security division and less heavily for its health-care division. As PerkinElmer had done for the preceding two fiscal years, the company in fiscal 2015 continued to focus R&D spending on Human Health segment diagnostics and research markets, as well as environmental, industrial and laboratory service markets within its Environmental Health segment. In fiscal 2015, new products from PerkinElmer’s Environmental Health segment included advanced liquid chromatography systems; a fully integrated, flame-only atomic absorption spectrometer; a Fourier transform IR microscope system; and a near-infrared analyzer. LightPath Technologies Inc. reported plans to concentrate its R&D efforts on the design and manufacturing of items for its lenses and IR product lines. Out of the seven companies with higher R&D percentages in fiscal 2015, II-VI’s rate increased the most — by 0.7 percentage points — to 6.9 percent. II-VI also had the largest annual percent increase in R&D expenses — 20.5 percent to $51.3 million. Wanting to accelerate internal growth, the company during its fiscal year that ended June 30, 2015, launched an initiative aimed at focusing R&D efforts on new product development. This initiative included R&D investments in the development of chemical vapor desposition (CVD) synthetic diamond materials for optical applications. The company also focused R&D spending on, among other things, photonics design, including precision optical and micro-optical components for fiber lasers and laser devices for instrumentation and display. As the formula for the R&D percentage indicates, R&D budgets are strongly tied to sales. In fact, out of the eight companies with lower annual revenues in fiscal 2015, Newport was the only one not to report lower R&D expenses as well. Citing its “commitment to continued product development” and noting that “the majority of our R&D expense is fixed in the short term,” Newport in its annual report said, “changes in R&D expense will likely not be in proportion to the changes in net sales.” Despite reporting higher annual revenues in fiscal 2015, FLIR Systems Inc. and Agilent Technologies Inc. lowered their R&D expenses. Newport was also among several companies to note that the stronger U.S. dollar negatively impacted sales because foreign currency denominations translated into fewer dollars. Other factors can result in the fluctuation of R&D budgets. Several companies said their R&D expenses were impacted by divestitures. For example, GSI shed its JK Lasers business and Bruker Corp. sold its Chemical and Applied Markets division. Companies such as Rofin-Sinar Technologies Inc. and FEI Co. also attributed lower R&D expenses to less funding from governments in Europe. While personnel- or wage-related reductions and other restructuring initiatives at Oclaro Inc., Veeco Instruments Inc. and LightPath Technologies drove down their R&D expenses, Lumentum said hiring sent R&D expenses up and Agilent Technologies also noted its R&D expenses were impacted by wage increases. Also spurring R&D expenses were acquisitions, such as Becton Dickinson’s acquisition of CareFusion, Coherent’s acquisition of Tinsley Optics and Raydiance, and FEI’s acquisition of DCG Systems. The Pipeline is a quarterly column that highlights the research and development (R&D) spending that will result in the next generation of biophotonics products. This column aims to help readers understand the business trends that directly or indirectly impact their work or the biophotonic equipment they currently — or will — use. The Pipeline is not intended as investment advice. 1. The company, or any of its subsidiaries, is listed in Laurin Publishing’s Photonics Buyer’s Guide. 2. The company makes biophotonics-related products. 3. The company is listed on the Nasdaq or the New York Stock Exchange (NYSE). 4. The company’s market capitalization is below $2 billion (micro and small cap) or above that level (mid- and large cap). 5. The company reports R&D expense data on a quarterly and annual basis. Financial data is from companies’ U.S. Securities and Exchange Commission (SEC) filings. The roster of companies is subject to change in future columns due to factors such as mergers or changes in reporting practices.